This is our latest COMPLETE MAINTENANCE SERVICE done to a vintage Omega. This watch is working with a movement caliber 601. 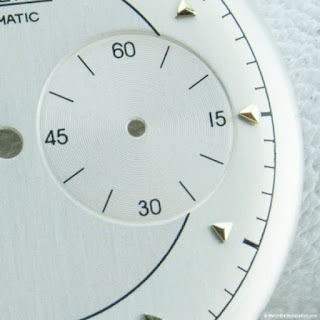 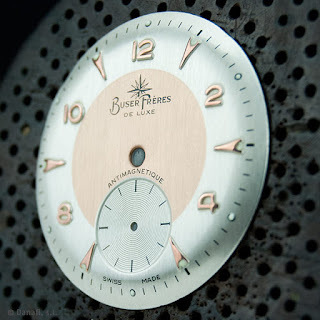 The dial (this is the face of the watch, showing the time) is plain butler (Silver) and has 12 embossed sticks. 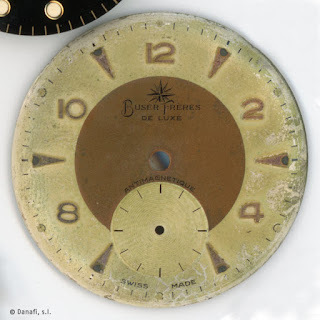 The sticks were punched from the bottom of the surface and then polished to the original tone of the dial, in this case in golden tone, with contrast to the finished surface; silvered. 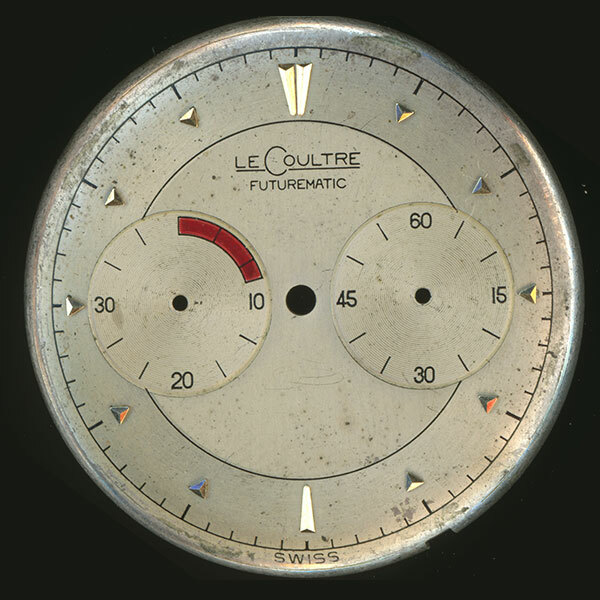 We have restored the dial as to original, of course. 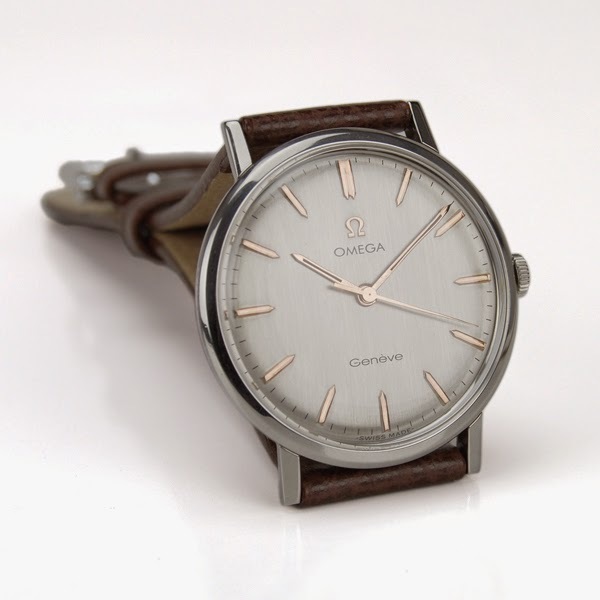 The case has been polished and refurbished to original Omega specifications (polishing and satin-finishing). 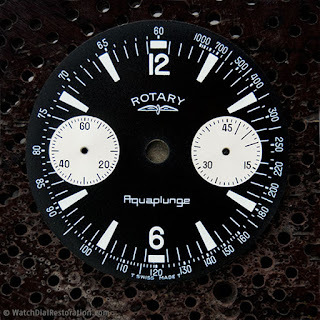 We hope you like the photos. 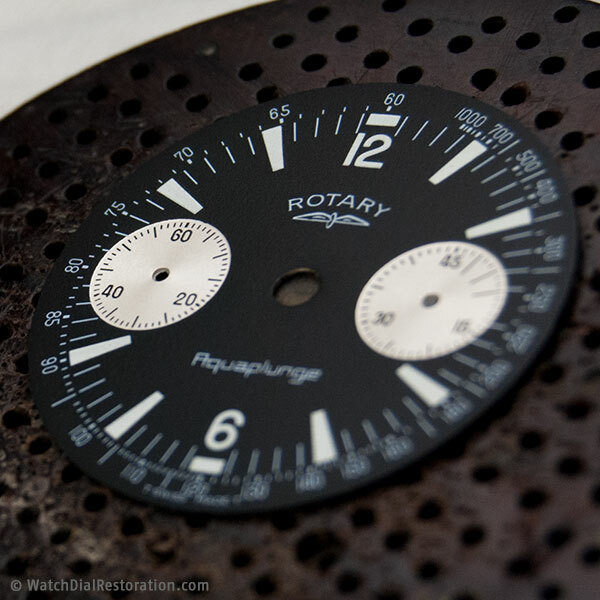 Rotary Watches is an award-winning worldwide brand of classic timepieces. 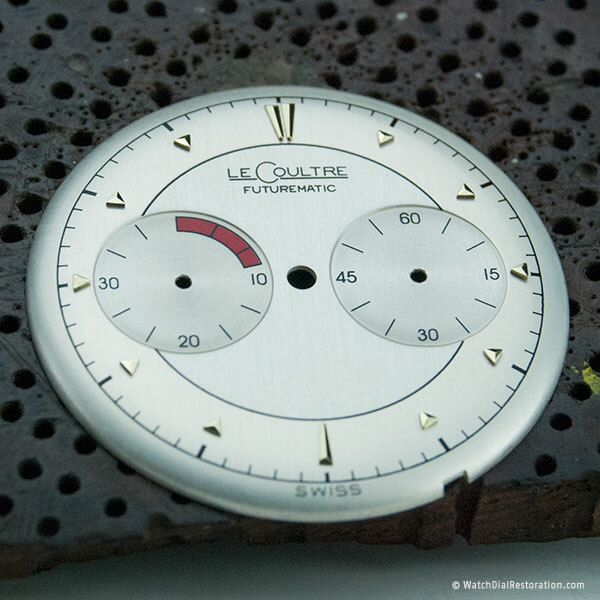 The firm was founded in 1895 by Moise Dreyfuss in the Swiss town of La Chaux de Fonds. 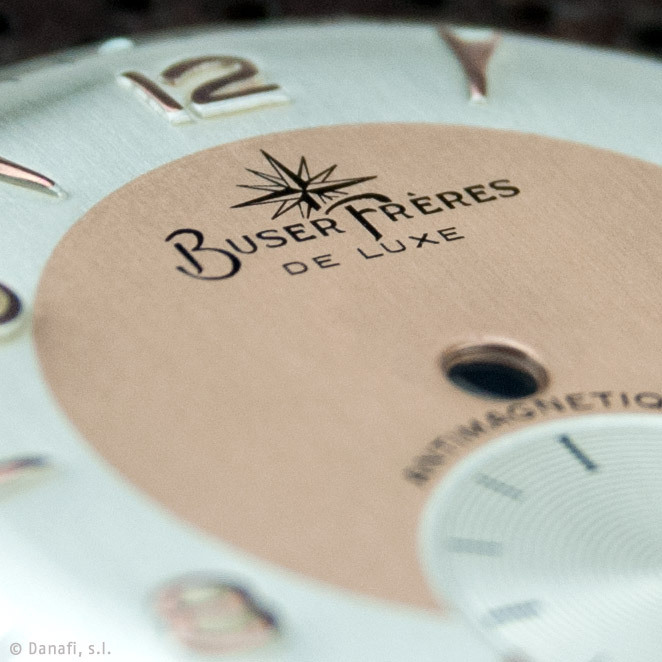 In this sense We are proud to show you a restauration of a mythical model. 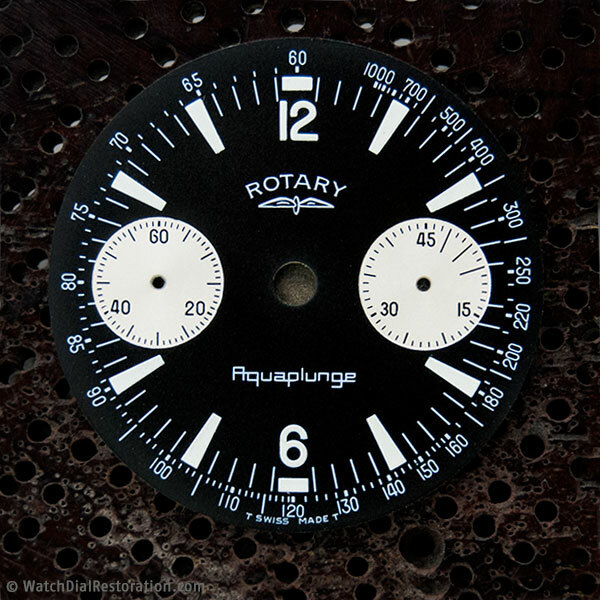 The Aquaplunge Rotary watch dial as to original. The dial was in very bad condition and how you can see, the tachymeter scale and the legend Aqauplunge doesn’t show fine. 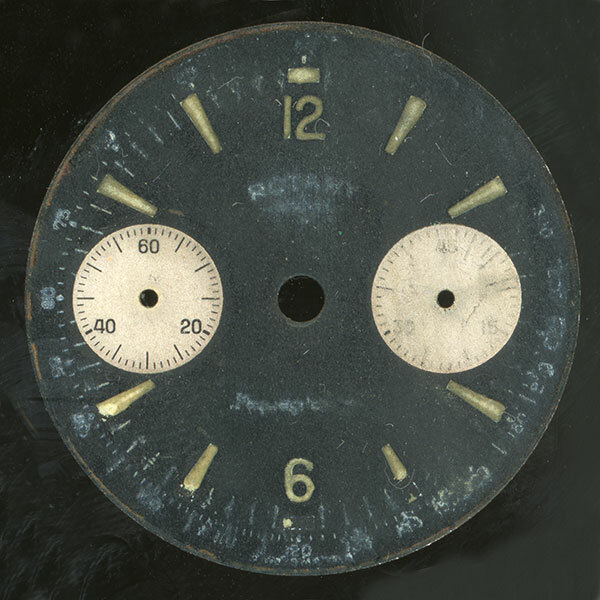 The restoration well done respect all the marks, brands and scales; the background is 2 tones (black and secondary dials white) and the 8 sticks and the Arabic number 6 and 12 with luminescent ink. 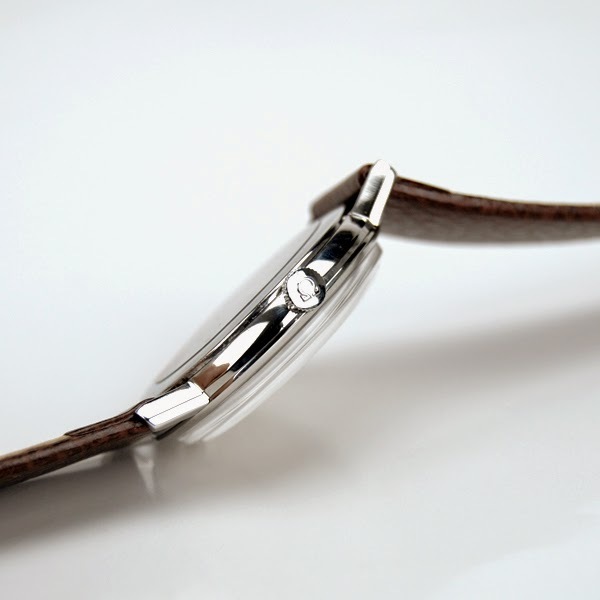 We wish you like the result. 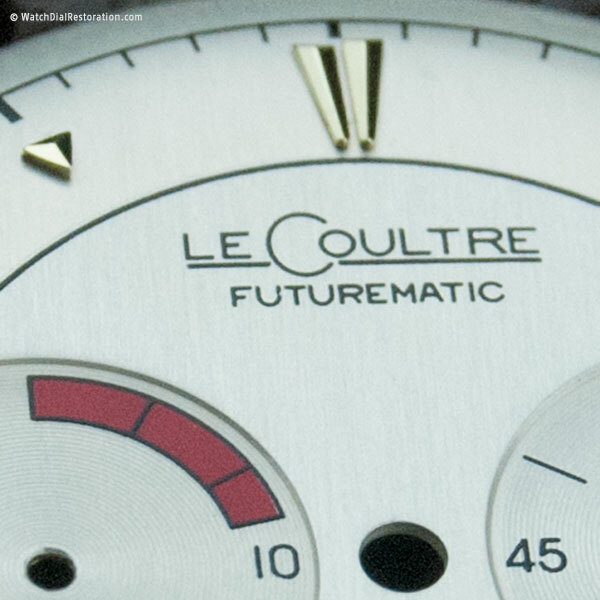 The dial of this watch LeCoultre modelo futurematic is very beautiful by its pure line and vanguard concept. In the 3h position we can see the sub-second dial and the 9h position there is the power reserve indicator with a red segment for the last time reserve (around 9h). 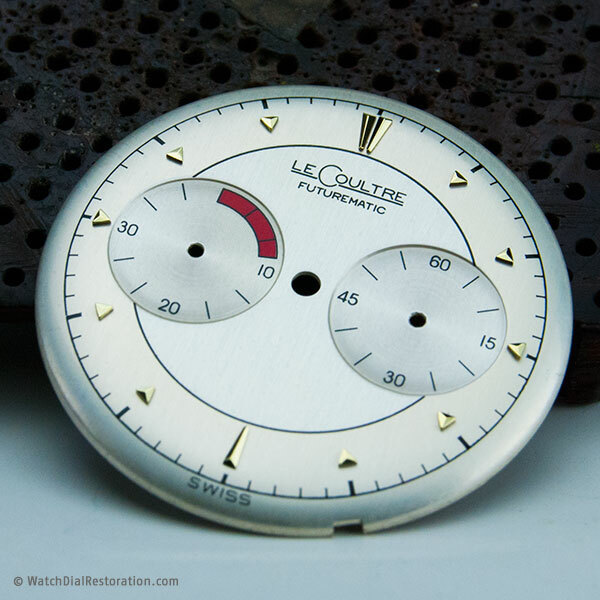 This is our latest watch restoration done in our workshop. 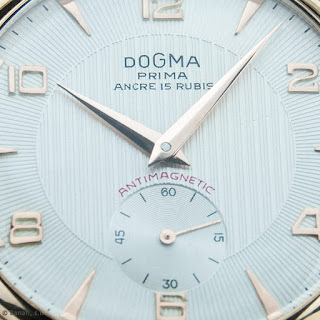 This is a Dogma Prima watch and we have gold plating and replating the case. This deal has been restored respecting all the brands —Doma Prima, Ancre 15 rubis, Antimagnetic— and the embossed patern. 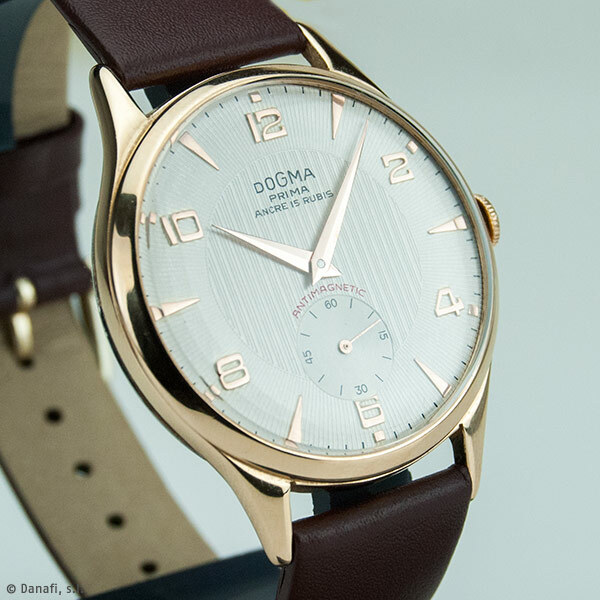 Very nice watch, isn't it? 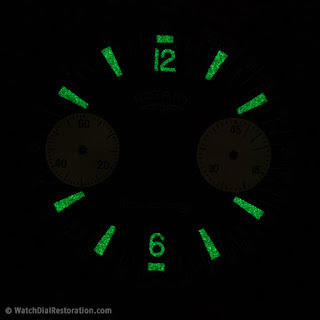 Here you are the last restoration done by Danafi, Specialist workshop in watch dial restorations. 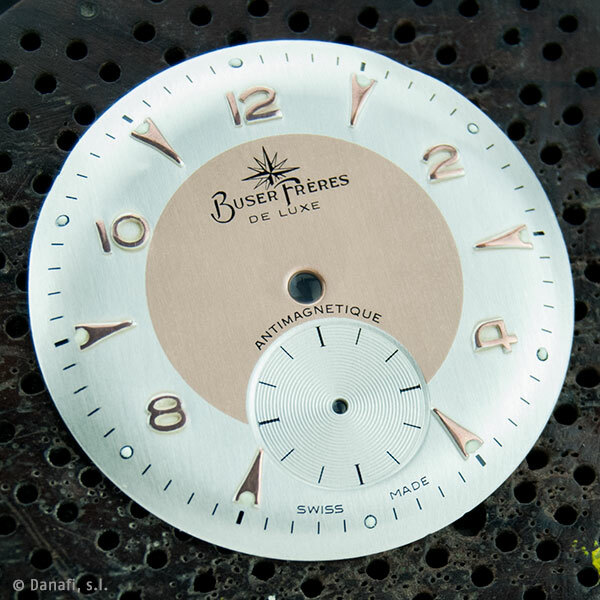 The restoration done is a Buser Frères dial with 2 tones. It is a beautiful dial because the background dial has the gold tone and silver. The dial has the Arabic numbers and sticks embossed in gold color with 12 luminescent dots. 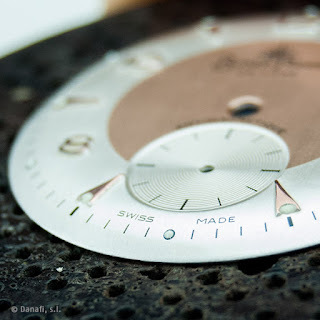 Watch dial restoration. 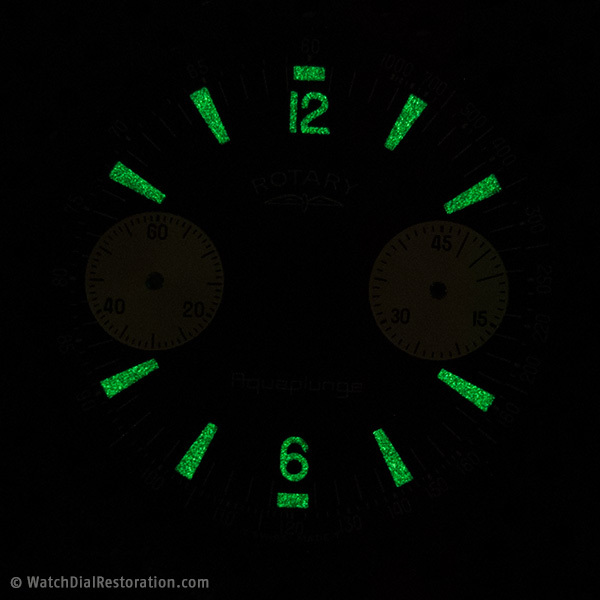 Watch repair and restoration. 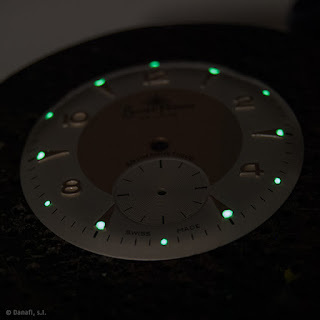 RESTAURACIÓN Y REPARACIÓN RELOJ LONGINES FLAGSHIP DE ORO 18 Kt. 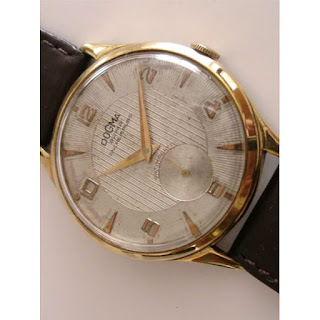 RESTAURACIÓN, REPARACIÓN Y MANTENIMIENTO RELOJ CYMA CUERDA MANUAL DE ORO 18Kt.